Did you know that if Facebook was a country it would be the third most populated country on the planet? With over 1 billion users on Facebook, it's no surprise that any business owner looking to promote their business does so with a fan page on Facebook. The problem is, the combination of Facebook's growing popularity and the ease with which one can create a fan page has brought many businesses to forget about the importance of having a website. Today, with social networks being everywhere, a business seeking maximum exposure must have a complete online presence. This is called SoLoMo, or Social Local and Mobile. This means that having a fan page is indeed important but must be complimented with a professional website and mobile site. Most users have no idea how to begin creating websites and mobile sites. If only it were like creating a fan page on Facebook - simply click the "Create a Page" button and you're done. EXAI has made this possible with it's new Facebook App! Not only can EXAI technology allow a user to create a website as easily and as simply as they can create a fan page, but now a user can do so directly from within their Facebook account. We know how much effort a business puts into their fan page to make it just right. Using EXAI's Facebook app, a user can create a website and mobile site that perfectly match their fan page so that all of the images, content, and even timeline would be incorporated into the website's design. With no effort on the your part, with only a click of a button, you can turn your fan page into a matching website and mobile site. All you need is a fan page and two minutes to spare. The application will show you all of your fan pages and your profile. Simply choose the one you'd like turned into a website. You can also choose your own layout, or have the application offer you multiple random layout designs to choose from. Click "Next" and watch as 6 different websites are created, all completely based on your fan page! Simply choose the one you like, make changes in an easy website editor if you want and publish. 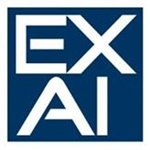 With EXAI's Facebook application, you can maximize your online exposure in minutes - and it's completely free!